A bestseller when it was originally published nearly a century ago, Wharton's first literary success was set amid the previously unexplored territory of fashionable, turn-of-the-century New York society, an area with which she was intimately familiar. The tragic love story reveals the destructive effects of wealth and social hypocrisy on Lily Bart, a ravishing beauty. Impoverished but well-born, Lily realizes a secure future depends on her acquiring a wealthy husband. Her downfall begins with a romantic indiscretion, intensifies with an accumulation of gambling debts, and climaxes in a maelstrom of social disasters. 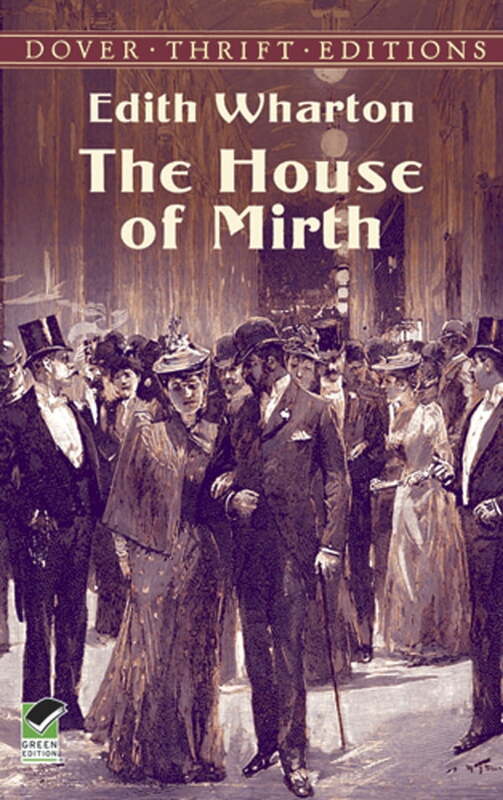 More a tale of social exclusion than of failed love, The House of Mirth reveals Wharton's compelling gifts as a storyteller and her clear-eyed observations of the savagery beneath the well-bred surface of high society. As with The Age of Innocence and Ethan Frome, this novel was also made into a successful motion picture.